Forty months in power, the All Progressives Congress may just be discovering now that it is perhaps easier to win elections than governing. What is now crystal clear is that the language of campaigning for ‘Change’ does not match up with the reality and specifics of governing. Within these forty months, many Nigerians have had legitimate reasons to complain bitterly about the so-called ‘Change’ that the ruling party promised. The reality is that each time we think our politics is changing for the better, dark forces tend to push us back. Not that the main opposition Peoples Democratic Party (PDP) is any different from the APC. Both are the symptoms and causes of Nigeria’s present problems. The high cost of nomination forms charged by the political parties, in particular, that of APC, proves us right that equal access to participation in our democratic process has been abridged and indeed, hijacked by the parties and handed wholesale to moneybags. Viewed in hindsight, what you have been reading in complete astonishment since last week regarding the high cost of nomination forms for various elective positions for next year’s general elections, provides an unusual, disturbing opportunity for understanding the interplay between the inner workings of the parties and money as the lifeblood of acquiring power and using same to knock out those with bright ideas but with little cash to throw around to clinch nominations for elections. On a still larger canvas, have you given a serious thought why President Muhammadu Buhari, who few years ago criticised the cost of presidential forms and told Nigerians how he borrowed a hefty amount of N27m to purchase the presidential nomination forms,has remained silent so far? Why is he not speaking out? Are you surprised? Why has he not rejected the forms bought on his behalf by a shadowy group supporting his re-election bid,at a staggering amount of N45m? 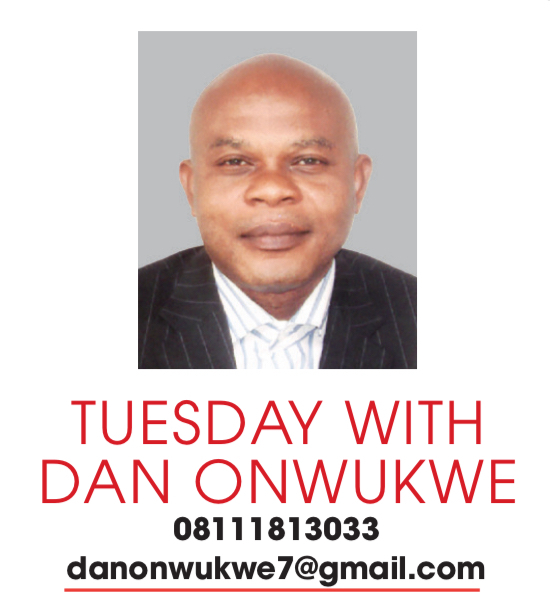 Whether Mr. President or APC accepts it or not, the anger and bitterness trailing the monetisation of our politics, as well as the mode of primary to adopt, these issues will present the party with a task more herculean than any it had ever faced before the formation of the party four years ago. It will be tempting, but wrong, for the party to think that the cost of nomination forms is an “family affair”, and therefore, none of our business. Politics matters. And we have a say on how politicians run our affairs. Outrageous fees for nomination forms is not how to raise money to run a democracy. The way it is now, if the cost of nomination forms is not reduced drastically, the democratic space is foreclosed for ideas’ people, and everything in the hands of moneybags with little or half a brain for leadership. The amount is disturbingly mind boggling. Let’s look at the nomination fees some of the parties are charging potential aspirants. For the presidency, APC’s fee is N45m, representing N40m for nomination form and N5m for Expression of Interest. The PDP fee for the same office is N12m and the All Progressive Grand Alliance (APGA), N25m. For the Senate, while APC fee is N7m, the PDP form goes for N3.5m, APGA, N5m. For Governorship, APC charges N22.5m, PDP, N6m; APGA, N10m. House of Representatives, APC, N3.85m; PDP, N1.5m, APGA, N2.5m. For House of Assembly seat, APC, N850k; PDP, N600k and APGA,N1m. When you remember that the nomination fees do not include campaign expenses, no chance at all for the “Not too Young to run”. Look at these fees carefully and you ask:how do you tame corruption in our democracy? How would any politician who managed to fork out the fee and got elected not do anything imaginable to recoup his money first before attending to the issues for which he was elected in the first place? Where are our political parties borrowing this backdoor disenfranchisement of people from? If American politics was run on this “cash and carry” fashion, the likes of Barack Obama would not have become President. This reminds one of a phenomenon in psychology known as folie a deux, a situation in which strong, overbearing personalities make others living under the same premises accept delusional systems. It simply shows the hollowness our democracy and those entrusted to make it work. This sends a strong message, that our democracy is careening towards a dangerous pathway that will lead to worse corruption imaginable and the installation of moneybags at various levels of leadership. That most dreaded day is fast approaching, if not already with us. That’s why the talk about good leadership in Nigeria won’t happen anytime soon. That’s why bad leadership will persist, because the bottom line is money, not necessarily ideas. Again, that’s why many in the APC, especially the governors are resisting the direct primary to elect candidates for the 2019 general elections despite the recommendation of the National Executive Council (NEC), the decision-making organ of the party. Last week, almost all state chapters of the party announced their decision not to abide by the directive of the party, insisting that since the Constitution of the party recommends either direct or indirect primary election, it is for states to pick and choose. But,the NEC had declared “that primary elections into all elective offices shall be by Direct primaries”. The national publicity secretary of the party, Yekini Nabena, while clarifying the party’s decision, maintained that the NEC decision still holds. Will the state chapters of APC override the decision of the party headquarters? That’s the confusion swirling around the APC. The governors insisting on indirect primary know they have lost touch with the people and indirect primary offers them the straw to remain in power through cash inducements to delegates. Undoubtedly, indirect primary, like the high cost of nomination forms, is a direct way by politicians with loads of cash to hijack the entire process. Isn’t the decision of the party at the national level suppose to be binding on the states? It will be interesting to see how APC will resolve these discordant tunes without losing control of its state machinery. For party cohesion, authority comes from the headquarters. It comes from public belief that all party members, at all levels, must suspend their judgment and accept the decision of the party. That, for short, is the essence of party supremacy. But, the reality of our present democratic dispensation is that the governors dictate the tune,regardless of public discontent with their performances in office. To me, APC is not learning the lessons from the PDP that cost it the presidency and majority of the seats at states’ level and majority in the National Assembly in 2015. Though winning next year’s general elections is still conceivable for APC, its failure to recognise that abridging access to many Nigerians on account of money, shows acute lack of power of perception. APC needs to be told that the political arena and awareness today is vastly different from what it was four years ago. The reality is that when circumstances change, capacities that gave you success in the past,may prove ill-suited to present realities. As political historians will tell us,the dilemma of the modern Presidency is not as simple as the contemporary talk of the imperial President may suggest. I doubt if APC knows this inescapable fact. Who is afraid of direct primaries?